Founded in 1997, Ilyashev & Partners is one of the most prominent and authoritative full-service law offices in the CEE region. We have achieved this by employing leading experts in various areas of law practice, innovative thinking and strict compliance with ethical standards in relationships with clients. 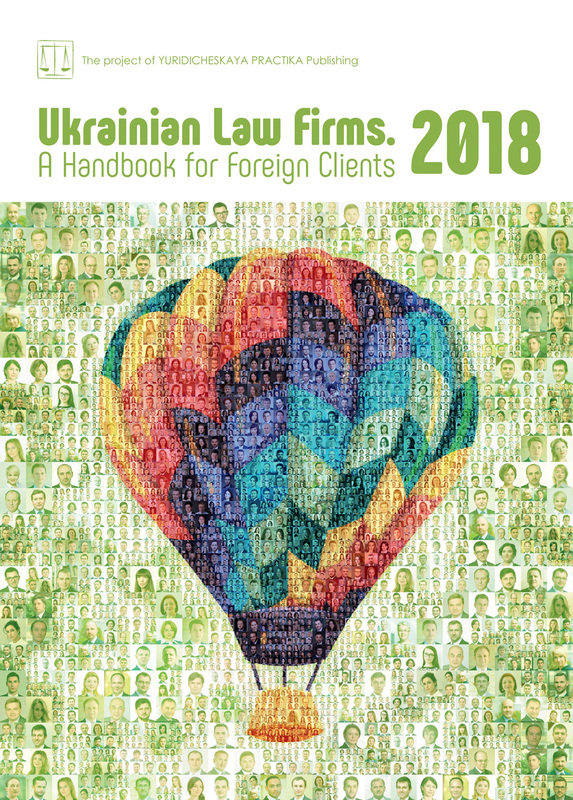 Ilyashev & Partners provides services in almost every practice area to well-known European and American companies, leading Ukrainian companies and financial institutions, government agencies, law offices and consulting companies. With offices in Kyiv, Kharkiv, Dnipro, Simferopol, Moscow and Tallinn, the firm employs 50 highly professional lawyers. The firm provides a wide range of legal services in the field of public procurement. Our team advises buyers and tenderers participating in public procurement procedures in Ukraine, Russia and EU countries. Our comprehensive legal support provides clients with the opportunity to avoid or eliminate problems that arise during the procurement process and to achieve positive results from conducted tenders. In the last few years the number of public procurements in Ukraine has grown more and rapidly and more and more foreign businesses are offering their products to of budget organizations . According to statistics on the bi.Prozorro portal more than 1 million public procurements were organized in 2017, with agree­ments to the value of more than UAH 836 billion. Law of Ukraine No. 925-VIII On Public Procurement (Procurement Law). Pursuant to the Association Agreement, Ukraine ensures non-discrimination and equal access of foreign bidders to public procurement markets on the basis of the principle of national treatment at national, regional and local level for public contracts and concessions in the traditional and utilities sector. AGP provides, in turn, legally binding access for foreign bidders (originating from other AGP countries) to Ukrainian procure­ments based on the national regime and non-discrimination principle, subject to certain savings provided by AGP. Also Ukrainian bidders can have access to foreign public services markets. Under the Association Agreement and GPA Ukraine has to approximate national pub­lic procurement legislation to EU public procurement acquis and effectuate institu­tional reforms. So as to create an efficient, transparent public procurement system based on EU principles and GPA norms the Procurement Law implemented fairly revo­lutionary rules for conducting public pro­curementensuring that foreign and national bidders may partici­pate in procurement procedures on equal conditions. Procedures shall be held on the basis of principles of fair competition, maximum cost saving and efficiency, transparency, non-discrimination, objective and impartial assessment of bidders and preventing cor­rupt practices. As the overcoming unrelenting wave of violations in the sphere of public service markets traditionally re­mains one of the most important agenda items in development of the national econo­my in addition to the revolutionary changes in the procedures of public procurement, the Procurement Law also sets out a de­pendable and trusted system of control over compliance with competition rules directed at saving monetary re­sources of budgets of various levels. The most important development stipulated by the Law is that, subject to some exceptions related mostly to safeguarding national security and interests, all “the above thresholds public procurements” shall be conducted exclusively in the electronic pro­curement system on authorized trading e-platforms connected to the web-portal called ProZorro, which is the information and tel­ecommunication system consisting of an e-auction module and database (part of the e-procurement system) ensuring the generation, storage and publication of all procurement information, holding an e-auction, automatic exchange of information and documents via the Internet. It provides free access to, among others, information on procurement, discussions of buyers and bidders, complaints and results of their re­view, etc. ProZorro makes public all information on procurement, ten­der documentation, offers and documents supporting bids, etc., and any interested person can freely access and examine it all, detecting inconsistencies and violations. EUR 515.0000, all information is duplicated in ProZorro in English. Procurements with a value below above thresholds may still voluntarily use ProZorro. When the value of procurement conducted reaches UAH 50.000 the buyer must publish a report on the awarded con­tract via ProZorro. — negotiated procedure (selection of supplier based on results of negotiation), used mainly when certain specific things like works of art are purchased, or in absence of competition, emergency situations, or if two tenders were cancelled due to the absence of the required number of bidders. The bidders have to meet the qualifi­cation criteria set up by the buy­er, which mainly include: availability of equipment and material and techni­cal facilities, qualified experienced per­sonnel; experience in performing simi­lar contracts. Qualification requirements are not required when certain products are purchased. The most attractive bids may be rejected if the winner does not meet the qualification criteria or if required collateral for a bid has not been provided. The Law On Procurement provides for the timeframes when the information on certain aspects of the procedure must be made public via ProZorro. For instance, the announcement on the procurement pro­cedure and tender documentation shall be downloaded not later than 15 days prior to the date of opening of offers, pro­vided that the value of goods/services does not exceed EUR 133.000 and works — EUR 5.150000, and no later than 30 days if the above thresholds are higher. No pro­curement can be held without a prior an­nouncement via ProZorro. The Antimonopoly Committee of Ukraine is an independent complaint review authority in the sphere of public procure­ment. The appeals are reviewed by its Per­manent Administrative Board for Handling Complaints against Violations of Public Procurement Legislation (the Administrative Board), consisting of three AMCU state com­missioners. Consideration of complaints is only possible if they are downloaded in ProZorro. As soon as the Administrative Board accepts the claim ProZorro automatically stops commencing the electronic tender and does not make the purchase agreement public. During an appeal buyers may eliminate vio­lations stated in a claim, but cannot act in any manner and take decisions in respect of procurement, the purchase agreement is not concluded. The Board has to resolve a claim within 15 business days. Appellants may expect from the Board the establishment of the presence of violation(s) and instructions to the buyer like: providing the required documents and explanations, eliminating discriminatory con­ditions, cancelling the procedure or decisions on rejection of bidder, access to auction, or selection of winner. The filing fee is just UAH 5,000 in case of purchase of goods or services and UAH 15,000 in case of purchase of works. Statistically, more than a half of the accepted and reviewed claims are satis­fied. For instance, in 2017 the Administrative Board reviewed claims for a total value of UAH 90.58 billion and obliged buyers to remedy breaches to a total value of UAH 37.38 billion. Thus, the bidders shall not pass up the appeal procedure to protect their rights and lawful interests. It should be noted, however, that monitoring does not halt procure­ment procedures, as this happens when a complaint is accepted by the Adminis­trative Board. Ob­viously, all information on monitoring and exchange of information between the Au­dit Service and the object of monitoring should be carried out in electronic form via ProZorro and is, therefore, publicly avail­able.